Last week, Singapore Motherhood invited us to write an article on how to help kids love to learn Chinese. Indeed, learning Chinese does not have to be dry or difficult, and we share 10 ways to help your kids start loving Chinese. The first and most important tip: realising that getting comfortable with Chinese takes time, especially if your kid currently lacks confidence in Chinese. The process of helping your kid love learning Chinese will takes months, not weeks. So when your child refuses to read a Chinese book or speak Mandarin at the start, do not worry or express displeasure as this is normal. Instead, praise your kid for baby steps (e.g. saying a word in Chinese) and encourage him or her to keep on trying. Reading helps kids develop a love for languages and is an important step to helping them become effectively bilingual and confident Mandarin speakers. Select wholesome and age appropriate books – good quality picture books help pique interest in younger kids, while a strong plot will keep older kids enthralled. Start introducing Chinese books into bedtime reading sessions and soon habit will become second nature! 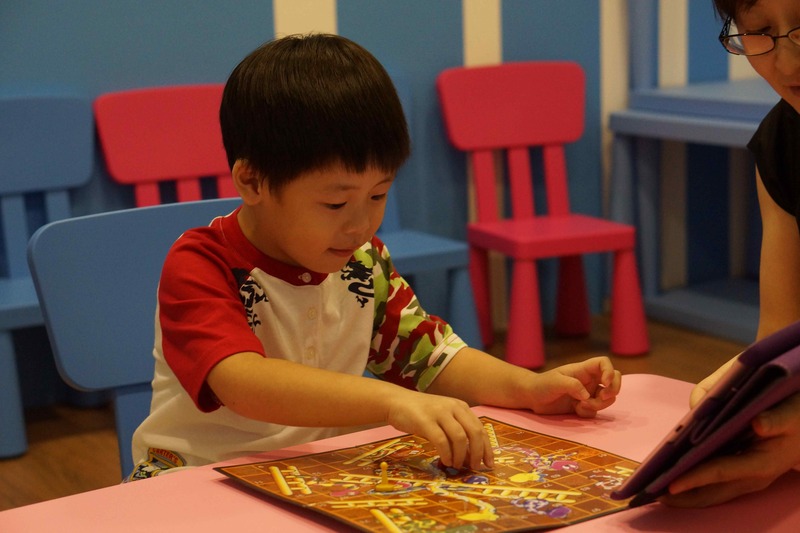 Parents who cannot read Chinese or struggle with the language should not be left out – they can read electronic books where voiceover and text highlighting help overcome this challenge. Songs are a great way to encourage kids to develop interest and an ear for the language. Younger kids are drawn to music which they can sing and dance to, while older kids are likely to benefit from wholesome Chinese songs. Kids love watching animation so do help them by selecting good educational Chinese cartoons. Use them as tools to encourage conversation, rather than passive entertainment. For instance, when watching a YouTube video with your kid, pause the video at regular intervals to ask leading questions in Chinese (“What are they doing? Who do you like best) and encourage your kid to reply in Chinese. Kids love to win, so why not a Mandarin challenge? One easy way is to get your kids to read to you – this helps build oral confidence and word recognition skills simultaneously. 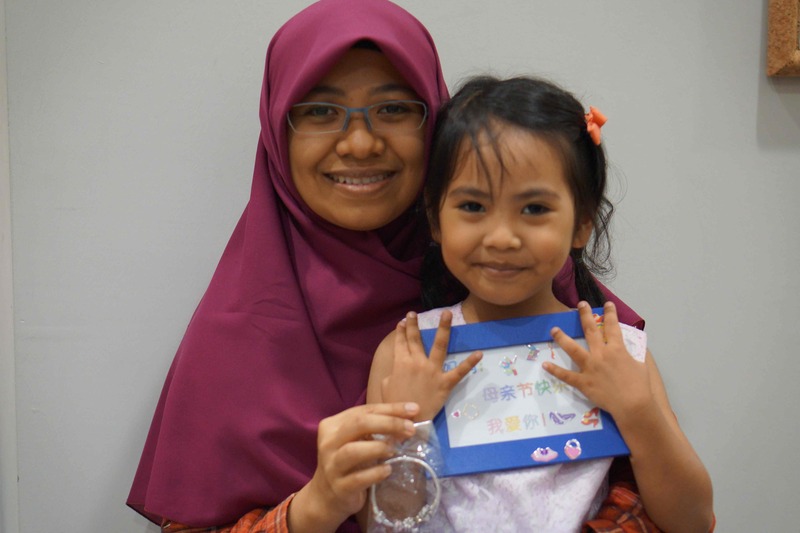 It works well for non-Chinese students too – one of our Malay students loves to read to her mother and is happy to help correct her pronunciation! Kids also respond well when properly motivated. In our classes, we award students with digital gold coins when they behave well and participate enthusiastically, which can be exchanged for stickers. A similar system can be easily implemented at home. Do not to penalise your kids for wrong answers as it would discourage them from speaking more Mandarin. Kids all learn differently so let’s get creative. For example, throw away the boring flashcard to teach “Apple” and get your child to paint or draw the fruit instead. Keep all their art works for an original picture dictionary! If your kid likes games, why not learn word recognition using snakes and ladders – with a twist. Before taking turns to throw the dice, quiz your kids using word cards. If they recognise the word, they can throw and move. If they don’t, you get to move. Do remember to coach them if they forget. Within a few rounds, the desire to win will definitely improve their memory. If your child becomes used to speaking only English at home, it can be difficult to change. Start by weaving Mandarin into daily life – such as a set hour where the family communicates only in Chinese (and to sweeten the deal tie this hour to their favourite play time or activities). Or when out and about, consciously point out street names and places of interest etc in Chinese. For example, when you are next at the zoo, add 长颈鹿, after saying giraffe. It’s easy to believe that Mandarin is all about drilling, spelling and word exercises. But your kids are missing out on the charming Chinese language, culture and history. Change that by sharing interesting stories about how Chinese words came about with your younger kids while older children might like to hear about the origins of idioms or mythological characters. And what better way to appreciate Chinese language and culture than to travel to China or Taiwan? It is a great way to immerse your children in the rich culture and have them experience first hand how useful it is to learn Chinese! Here are some resources that can be your starting point on your journey to making the Chinese language fun to learn. No matter which method you choose, please stick to it and you will see results in time. Your kids may be resistant in the beginning, but your patience and perseverance will definitely help them to develop the interest and confidence in using Mandarin daily!